Motor vehicle accidents can result in a number of very diverse and complex injuries and symptoms. This is due to the diversity of factors involved with the each MVA - i.e. vectors (angles, speed) of the collision, size of the vehicles involved in collision, pre-existing health conditions of victims, age of victims, size and strength of victims, etc. "Whiplash" is the most common injury sequelae following motor vehicle accidents. Speeds of as little as 5 mph have been documented to result in whiplash injuries. And although whiplash is prevalent in today's society with hundreds of studies on the topic, it is not yet fully understood. 2. the resulting bodily symptoms of this injury - sustained from a motor vehicle accident. Click here for "Whiplash" video. This loss of normal (C-shaped forward) cervical curvature is the result of the cervical acceleration/deceleration syndrome, and can be responsible for many positive orthopedic and neurological examination findings contributing to the patient’s symptomatology. X-rays cannot demonstrate microscopic tears nor show inflammation in the soft tissue (ligaments, tendons, muscle, cartilage, etc) which is one of the leading causes of the pain and soreness that one experiences following motor vehicular accident trauma. X-rays are the most cost effective study to rule out ligament insufficiency, bone pathology and vertebral misalignment leading to abnormal musculoskeletal mechanics. Whiplash is most commonly received from being struck from behind (hyperextension/hyperflexion mechanism), whether from something as light as a fender bender or from something as powerful as a football tackle. When the head is suddenly jerked back and forth beyond its normal limits, the muscles and ligaments supporting the spine can be over-stretched or torn. However, one can be struck from the from (hyperflexion/hyperextention mechanism) or from the side (T-bone mechanism). These mechanisms can also be complicated such as by the position of one's neck during the impact and/or if one was aware of the impending impact (refer to 'Risk Factors' below). Phase 1 - During Phase 1 the car is first pushed or accelerated forward within milliseconds. Your car is essentially pushed out from under you and your back loads the seat. High shearing forces develop within the neck and your spinal curves straighten and compress. High pressures develop within the brain and shearing forces on the brain stem. Phase 2 - Upward rise of your neck as your head snaps into full extension (moving backwards) over the headrest and collapses it. This acts as a fulcrum and TMJ (temperomandibular joint, jaw) injury is possible with high compression within the joint and some of the muscles and ligaments are stretched or torn in the neck. Phase 3 - The head begins it's forward motion as the torso descends into the seat. Seat back bounce increases your velocity 30-70% greater than that of your car. Slack in the seat-belt shoulder harness begins to tighten. Your neck muscles, in a reflex action, contract to bring the head forward as they are thought to be in extension (phase 2), in an attempt to prevent excessive injury. But, because the head is already traveling in a forward direction as the car decelerates, there is overcompensation. Phase 4 - This violently rocks the head forward, overstretching more muscles and ligaments in the back of the neck. Full deceleration of the head, neck and torso is aggravated by the shoulder harness. High tension and shear forces in the spine can cause the soft 'pulpy' discs between the vertebrae to bulge, tear, or rupture. Vertebrae can be forced out of their normal position, reducing range of motion (Vertebral Subluxation). The brain stem, spinal cord and nerve roots get stretched, irritated, and choked. If the victim is not properly restrained, the occupant's head may strike the steering wheel or windshield, causing a concussion. 3. What symptoms are associated with whiplash? 4. 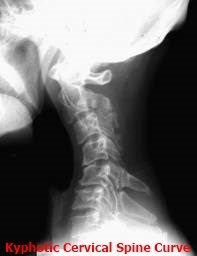 What structures are damaged in whiplash injuries? The use of the seat-belt and shoulder harness. 6. How is whiplash treated? Early intervention with chiropractic treatment is one of the only proven effective forms of care in the treatment of acute and chronic whiplash related injuries. Through the use of carefully controlled pressures directed at specific spinal segments and various physical therapy modalities, combined with that of exercise and nutrition, whiplash sufferers have a better outcome. This is also known as 'chiropractic rehabilitation', and, is the unique domain of the chiropractic physician. Studies have demonstrated that without early intervention of promoting proper movement within the fixated spinal joints, osteoarthritis of the spine and nerve root complications may be accelerated. Whiplash associated disorders do not exclude children. In fact, children involved in automobile accidents are often neglected in these types of injuries when in actuality, they suffer from the same symptoms as adults and are at a greater risk for damages due to their underdeveloped musculo-skeletal structures. Adding fuel to the fire, a number of insurance companies object to paying for the care of children when the literature shows that they are at two-thirds the risk of adults. Chiropractic care is a safe, natural, noninvasive, and addresses the cause of the symptoms. Our treatments also include active patient participation, and in some cases, lifestyle modifications. While we do focus on eliminating pain early on, we realize that in addition to pain - optimal tissue healing, restoration of normal function and prevention of future recurrences and re-injuries - are equally important. Our treatments are highlighted by our use of many gentle and highly effective spinal adjustment techniques. When used properly, these techniques allow us to safely and effectively reduce pain levels, reduce muscles spasms, eliminate inflammation, restore normal joint motion and biomechanics, prevent or minimize degenerative processes, and, minimize the likelihood of future recurrences. We also incorporate many natural and safe chiropractic spinal/joint adjustment techniques into our treatment plan to further assist in the healing process. Some common adjunctive therapies include physiotherapy such as: low-level laser therapy (LLLT); ice therapy (cryotherapy); heat therapy; therapeutic ultrasound; electronic muscle stimulation; cervical spinal decompression traction; soft tissue mobilization; spinal stretches and strengthening exercises; nutritional supplementation; ergonomic and lifestyle modification counseling. 7. How long do whiplash treatments take? 8. Will I have future problems from my whiplash injury? Numerous studies show that many whiplash victims have a relatively poor outcome without immediate and appropriate treatment. 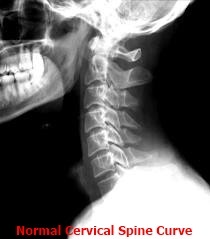 One such study found that 75% of patients with whiplash still suffer from symptoms 6 months after the accident. Experts agree that individuals with any degree of neck complaints following an auto accident dramatically improve their prognosis if they seek immediate evaluation and appropriate treatment within hours of the accident. rear-end collisions typically cause more cervical spine (neck) damage than do frontal or side (T-bone) collisions. Injuries to the neck (soft-tissue and bony) caused by a rapid movement of the head backward, forward, or side to side, is commonly referred to as "Whiplash" or in other words, a whiplash associated disorder (WAD). Whether a result of a car accident, slip/trip and fall, sport or work injury, whiplash or other neck injuries warrant a thorough chiropractic check-up. The biggest danger with these injuries is that the symptoms can ‘silently’ take days, months or years to develop. Too often people don't seek treatment until more serious complications develop. Even after whiplash victims settle their insurance claims, between 39 report they still suffer with symptoms two years later. In the past, a typical whiplash injury where no bones were broken, was hard to document. Soft tissue injuries do not show up on x-ray and insurance companies would deny coverage. Literally adding insult to injury, the patient suffering all too real pain was considered to be a fraud, a liar, or at best a hypochondriac. New imaging devices (CT Scans, Magnetic Resonance Imaging (MRI), Ultra-Sound) may now show soft tissue injury and now insurance companies cover most whiplash injuries. Greater vehicle damage = greater occupant injury. Accident re-constructionists can predict injury potential. A 5 mph "Delta V" crash typically produces about 10-12 g of acceleration of the occupant's head. Recent epidemiological studies have shown that most injury rear impact accidents occur at crash speeds of 6 mph to 12 mph--the majority at speeds below the threshold for property damage to the vehicle. A number of risk factors in rear impact accident injury have now been verified including: rear (vs. other vector) impact, loss of cervical lordotic (C-shaped forward) curve, pre-existing degenerative changes, the use of seat belts and shoulder harness, poor head restraint geometry, non-awareness of the impending collision, female gender, and head rotation at impact. Although estimates vary, about 10% of all whiplash victims become disabled. Most injuries don't show on x-rays.